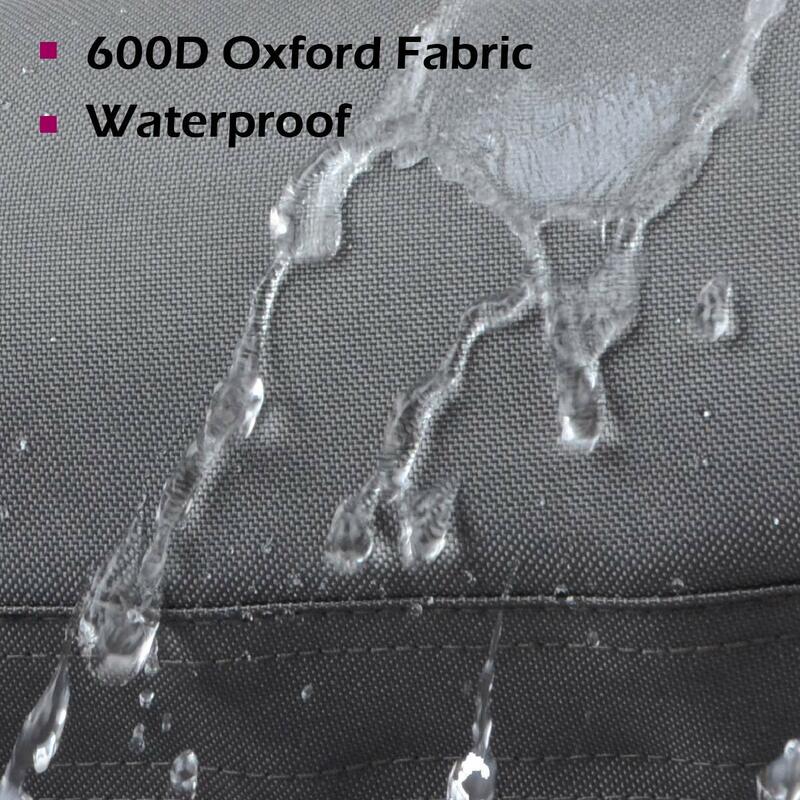 ✅ WATERPROOF — 600D Oxford fabric is water resistant and tough. Solidly built legging gaiters protect you from rain, snow, mud and insects. 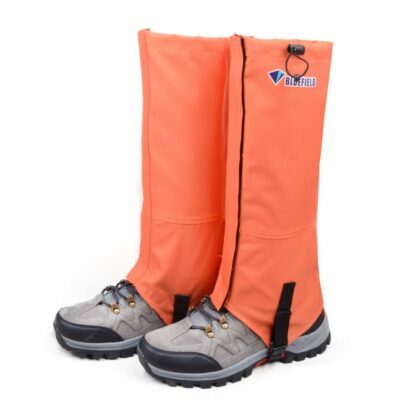 Keeps your shoes and pants dry and prevents shin scratches. 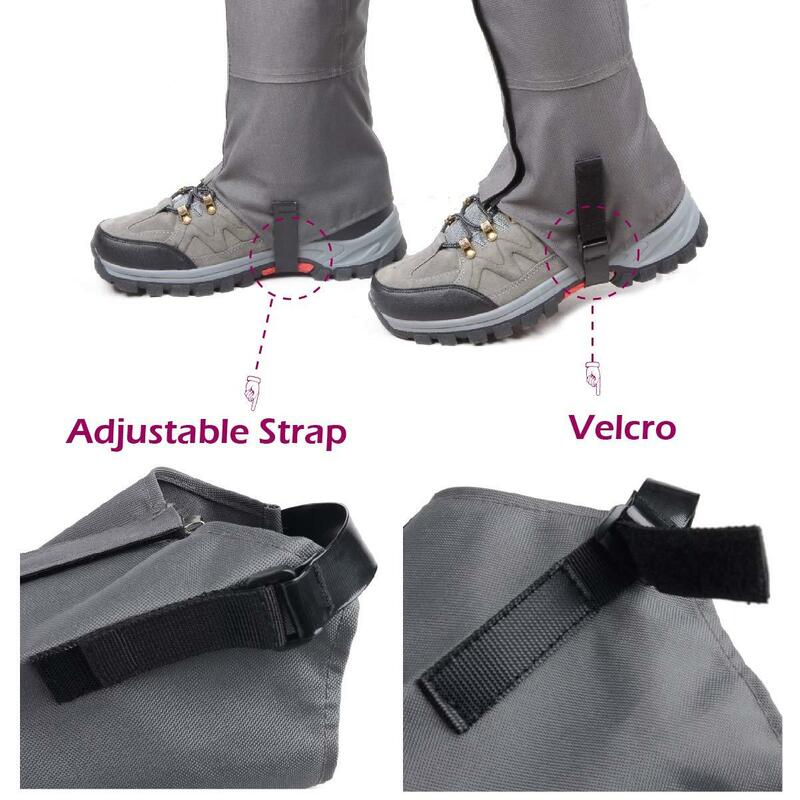 ✅ TIGHT FIT — Fits snuggly over your pants and attaches to your shoes with metal hooks. 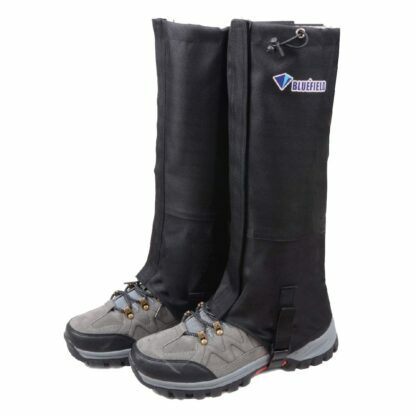 The velcro holds tight, keeping the elements out. 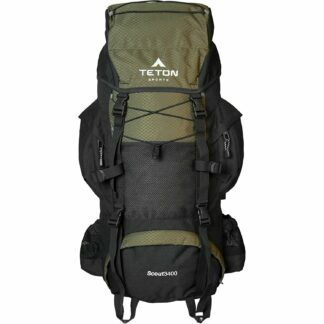 Adjustable drawstring on the top is windproof and warm, which can effectively prevent snow, water and mud. ✅ ADJUSTABLE — Top adjustable drawstring helps hug your legs and won’t slip down even if the gaiters become a little loose.. 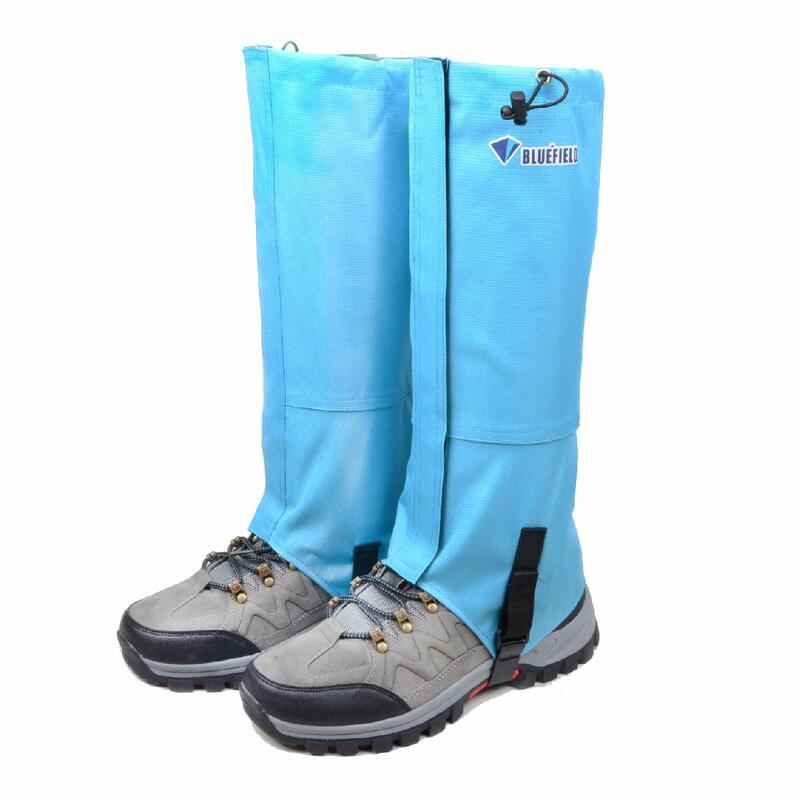 The durable bottom stirrups are designed to easily fit over any footwear. ✅ MANY USES — Tough and waterproof, useful during any season. 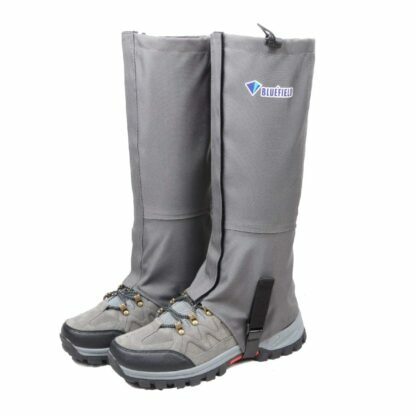 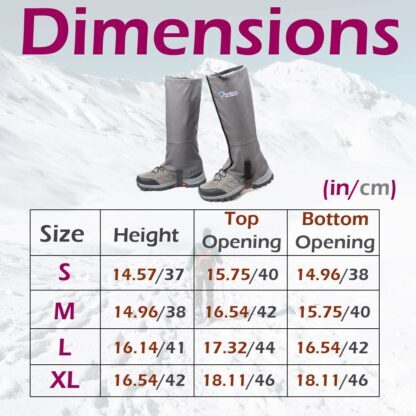 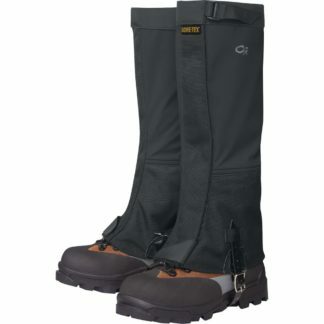 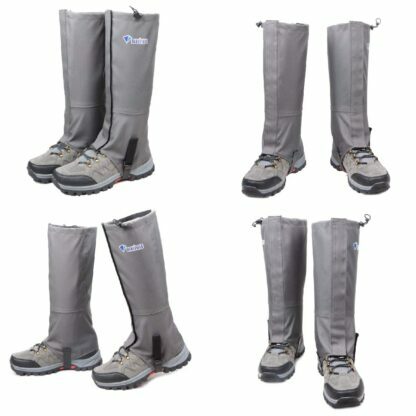 Triwonder snow leg gaiters are ideal for Hiking, Walking, Cycling, Hunting, Yard Work, Fishing, or any outdoor activity. 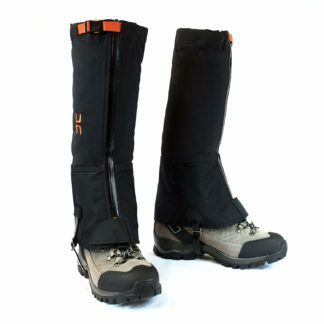 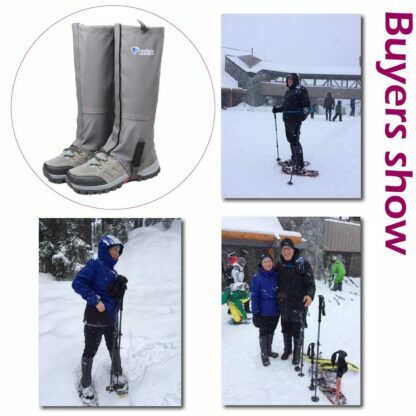 Triwonder Snow Leg Gaiters are good for hiking, walking, backpacking and skiing. 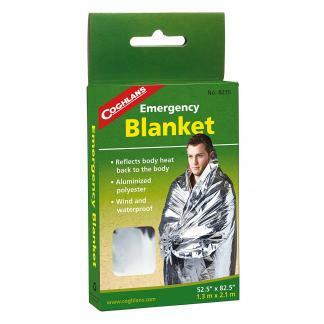 They are made of durable waterproof materials to repel harsh conditions. 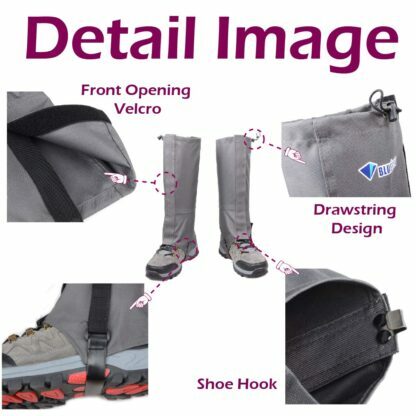 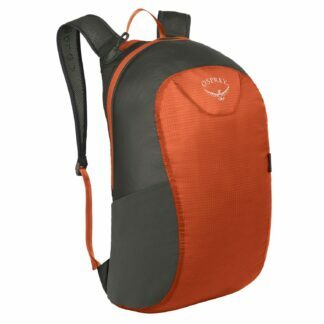 Keeps rocks, twigs, dirt, snow, water and insects out of your footwear. 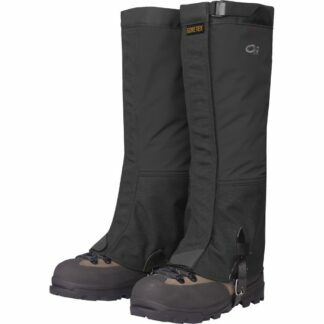 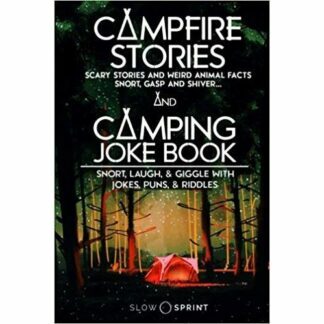 Shields your shins from brush and keeps your pants from snagging.